SAP is a well-known software organization known to corporate clients and IT specialists in the C-suite. Now, a new community is being built that leverages the company’s considerable resources to help small businesses take advantage of what SAP has to offer. Small Business Trends spoke with Christal Bemont, senior vice president and general manager of Global Small and Medium Business Sales at SAP Concur about this big opportunity for smaller companies and how it will further level the playing field between the corporate Goliaths and the small business Davids. Bemont was a keynote speaker at the recent B2SMB Global Conference and started our conversation by talking about the beginnings of this new push. She went on to describe how one of the first things she noticed was a changing relationship between the bigger players with deep pockets and their smaller cousins. “I noticed the tide was turning with small to medium sized businesses, where their athleticism innovation and entrepreneurial spirit could be huge assets that larger companies are in need of,” she said adding that she saw a possibility to leverage the power of SAP for this small business market. There were of course some obstacles like the diminished buying power and access to information for these smaller firms. Noting that technology smoothed some of these differences over, Bemont saw that a “community” focus could speed things up even further. She saw SAP’s role as three pronged: to help small businesses grow and thrive, avoid risk and be as financially strong as they could. The idea was to bring a group of small businesses under one roof so they had a combined buying power, access and the disposition of larger Fortune 100 companies worldwide. There was one final piece missing and when Bemont asked herself a question, the community took shape. The new community that sprang from that was about more than just networking although that traditional aspect still holds a valued slot. It was also about giving small business access to resources they might not otherwise have a chance at. Some of the mechanics are about using SAP Concur as a fulcrum between different sized companies. Leveraging these different sized businesses relationships is one central aspect. Drawing on SAP’s long bench to bring thought leadership and significant insights to this community is another focus. 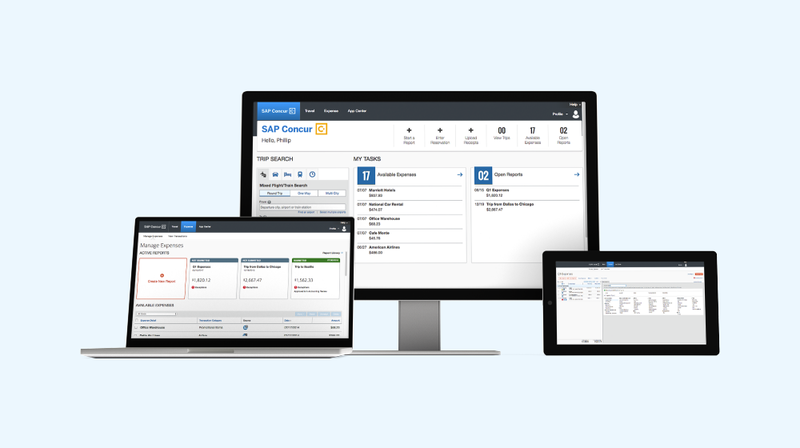 These kind of interactions are designed to help small businesses anticipate what might be around the corner, again leveraging SAP’s experience. Beyond the technology this software giant can supply, the idea behind this new community is to help smaller business corral information, leverage it to mitigate risk and help them make better choices. In a word, SAP Concur wants to bolster this emerging community with the one/two punch of technical solutions, practical advice and mutually beneficial deals. “The conversations that we have today are certainly around helping organizations take cost out of the business,” Bemont says. Small Business Trends CEO and Publisher, Anita Campbell, attended the conference and contributed to this piece.